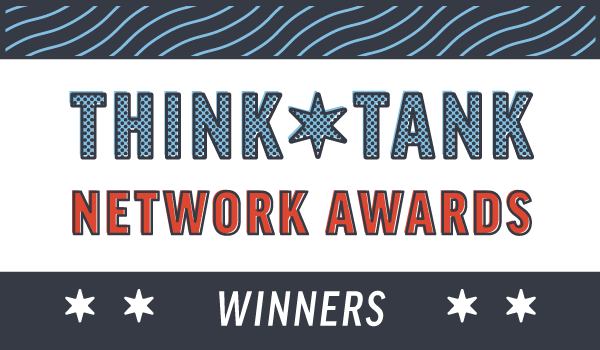 The Awin Group is thrilled to announce the winners for the first ever ThinkTank Network Awards. Below you will find our represented categories and a complete list of nominees and winners, including a brief explanation of why each winner was chosen. All current clients with an active program were eligible to receive a nomination. Nominees were selected internally after thorough review of program performance on one or both networks. New to the US Awin Group, Gymshark launched their affiliate program on Awin in Q3 2017. Immediately, the brand saw tremendous success both in terms of revenue generated from the channel and the quality of their publisher partnerships. Understanding the true value of affiliate partnerships, the Gymshark team actively builds relationships with their publisher base, providing tips and tricks on how to improve their site and promotion of the brand, while seeking innovative partnership opportunities that fit well with the brand’s image and the publisher’s capabilities. Taking full advantage of Awin’s technology and the vision behind the tools, Gymshark offers all content partners a payment on influence reward, in addition to the last click CPA. The commission structure supports content partners by rewarding them for the value they bring at the top of the funnel, not just the end of funnel touch point. In a competitive e-commerce space, typically focused on the bottom line, the Gymshark team works hard to maintain a friendly and approachable atmosphere for their publisher base, compensating partners at a competitive and fair commission rates. It’s great to see this level of dedication and publisher support from a newcomer using these methods to drive the brand’s growth and success in North America. The basis of Etsy’s entire affiliate program is founded on content bloggers, with a strict approval process in place to ensure all publishers are a good fit for the Etsy brand. With more than 6,000 affiliates globally, an important part of Etsy’s strategy is to ensure all approved affiliates are brand engaged ambassadors who can tell the Etsy story. They do this through a variety of regular promotions like educational welcome guides for all new affiliates, creative activation campaigns, holiday-themed affiliate incentives tied to dedicated blog posts/gift guides, tips and inspirational-themed webinars, and chances for their affiliates – and associated content – to be featured on the Etsy blog. All these initiatives allow Etsy to creatively increase their dedicated content with publishers in addition to helping their affiliates grow, supporting the spirit of Etsy’s community driven values. Wayfair launched their first affiliate program in 2006 as CSN stores. After a major unification of their many separate niche sites in 2011, they rebranded into Wayfair – a single destination brand. Wayfair has a long history of targeting non-traditional affiliates. One early example is Wayfair Supply, which targets business purchases from professionals like interior designers. They’ve been utilizing coupon code tracking to attribute sales to designers, architects, contractors, trade blogs, etc. Wayfair was also a major inspiration for the roll out of ShareASale’s conversion lines in 2015. 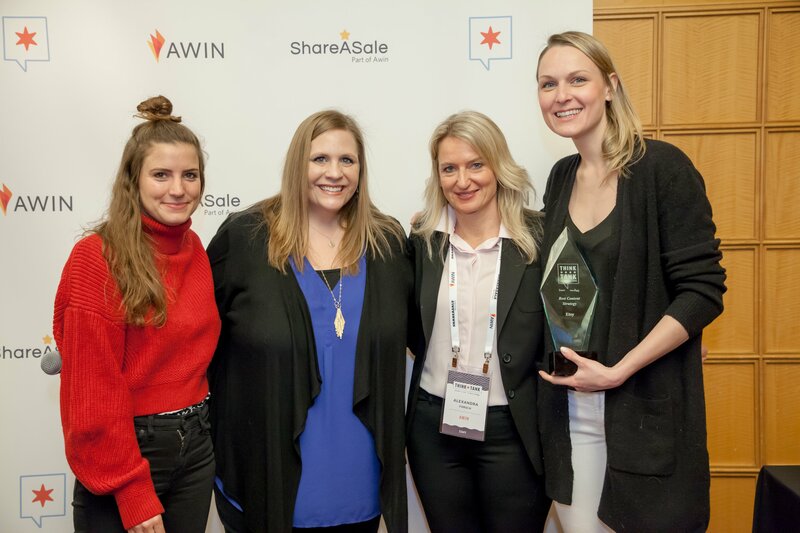 Their desire to attribute sales to those affiliates that influence the sale was the early adaptation of ShareASale’s add-to-cart conversion line technology, which provided expansion in the ability to allow brands to commission with flexibility. Most recently, Wayfair rolled out Perigold.com, which caters specifically to high end influencers. The site regularly features showcase products selected by “tastemakers” and they were early adapters to ShareASale’s influencer sign up tool to establish a targeted recruitment strategy. 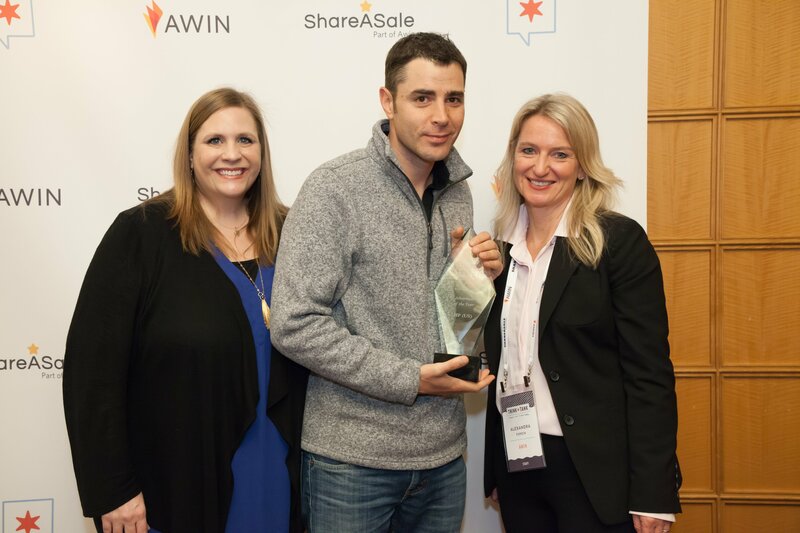 Through the years we’ve been witness to how Wayfair has adapted their focus and program to find innovative ways to cater their business model to the recruitment and engagement of non-traditional affiliates. On the pulse of pop culture, entertainment, food, fashion, lifestyle, business and sports, Meredith Corporation is a leading media company that serves well-defined audiences. Meredith’s affiliate strategy is to align their content with merchants that resonate well with their audience and foster long-term strategy partnerships with top brands on both networks. From 2016 to 2017, they saw 207% growth in revenue on Awin. So far YTD they have seen a 108% growth in revenue. This growth can be attributed to new partnerships with key brands like Pretty Little Thing and Momondo, as well as strengthening the current relationships for brands like Etsy, StubHub, and Missguided. 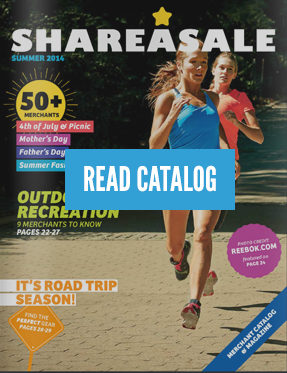 On ShareASale, their year over year growth was a whopping 788% in total commissions. Their hands-on approach to innovation, relationship building with top brands and taking full advantage of our technology and tools are some of the qualities that make Meredith stand out as the publisher of the year. Guided by the motto “keep reinventing,” HP runs a competitive and efficient program focused on continued growth and innovation. Their affiliate program has continually developed, looking for new opportunities to support the business goals. Last year, the program demonstrated a 63% YoY increase on Cyber Monday. HP leverages Awin’s advanced tools and technology, strategic publisher base, and proactive account management team to support the online store’s ever-changing, complex structure. Together, HP and Awin have worked to build a diverse publisher base, growing the active number of partners by 45% YoY. 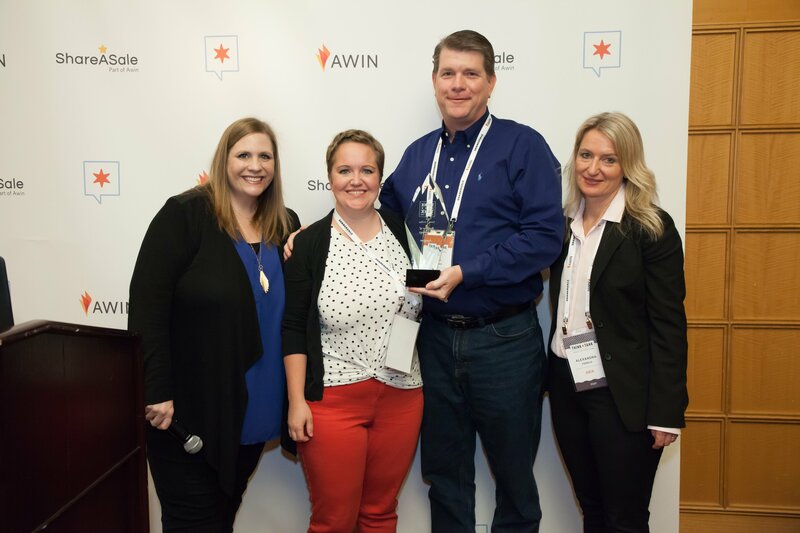 More impressively, Awin grew content partners’ revenue over 200% YoY. Taking advantage of cookie-less coupon tracking technology, HP has been able to extend the affiliate channel to non-traditional partnerships and track offline media buys, like magazine ads or in-home mailers, effectiveness at driving sales, all at a pay for performance rate. David has been an advocate for online brand monitoring and protection for retailers over the past decade. He has helped to maintain the health and integrity of the industry. Given the ever-increasing importance of compliance and brand safety, David has helped bring light to an often misunderstood topic that plagues retailers of all stages. Not only does he provide support as CEO of BrandVerity, a robust technology platform that enables affiliate managers to combat trademark abuse and ad fraud, but has achieved partnerships with leading networks to help affiliate managers better manage this issue. He works to instill trust in the channel and clean up the sometimes-negative reputation that befalls certain aspects of the affiliate industry. In addition to being a listed Industry Champion member of the Performance Marketing Association, David has worked diligently on the compliance council, and put forth guidelines and education available to all members of the industry. 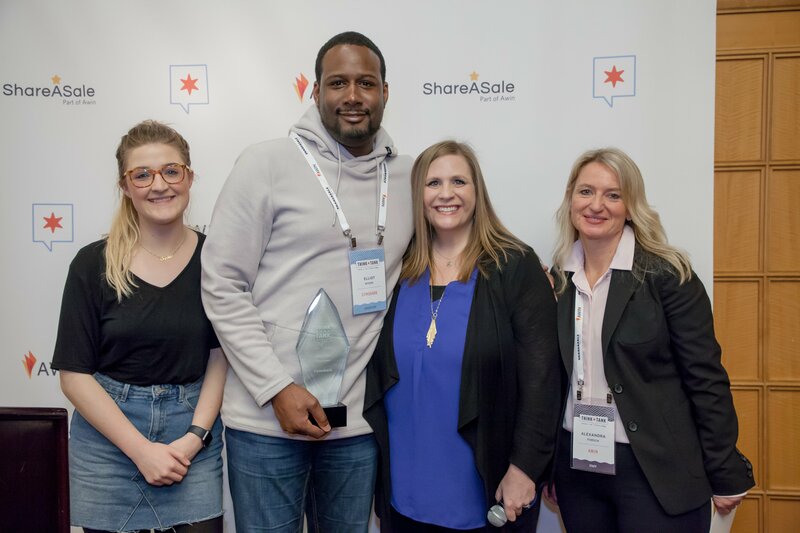 With their oldest account on ShareASale being 13 years old, the four-person crew at Fanatics is successfully managing 35 active accounts on ShareASale, with recent additions including Bears Pro Shop, Majestic Athletic, and Oklahoma Sooners. Of those 35 accounts, at least one is consistently in the Power Rank 25, though we often find a handful in there. Wade Tonkin and Joe Sousa have been leading this powerhouse team since 2013. 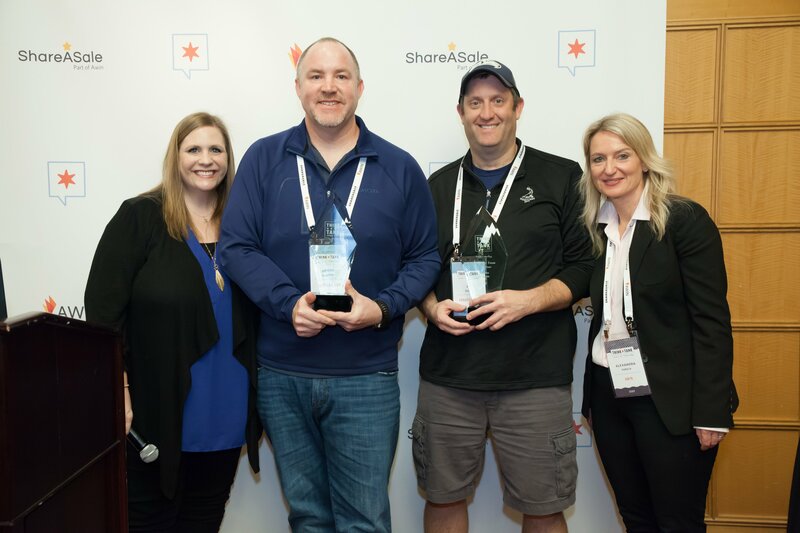 Consistently at the forefront of ShareASale tools and technology, the Fanatics team is a strong and steady product tester for ShareASale and has helped improve tools such as the express signup and storefront tools. Fanatics innovative recruitment strategies include, but are not limited to: ShareASale, social media, conferences and local blogger events like Bloggers with Balls. While at these events, we often find the team leading sessions, sponsoring the event, and acting as affiliate marketing advocates. The Apogee team has always been early adapters of any tool ShareSale rolls out. They have been especially impressive with the use of conversion line technology. Apogee was the first to accomplish getting all of their clients set up on conversion lines. Their use of split commissions resulted in an over 90% increase in content attributed sales while still recognizing last-click contribution as well. Apogee has been vocal advocates on best practices continually make tweaks to best fit the needs of their clients. Additionally, Apogee leverages the ShareASale API to access and analyze client data, and when it comes to email, there may be no one else who generates such well thought out and complex communication to ShareASale, digging in and trying to get a greater understanding on exactly how the technology logic works. Aside from network tools, Apogee is a mainstay on social media, contributing the betterment of the industry, as well as having put together a comprehensive video educational series with their clients and hosting zoom conference calls to boost engagement. Congratulations to all of the winners and nominees! Stay tuned for our complete ThinkTank recap next week. To see all photos from the ThinkTank Network Awards, please click here.